Holiday season means gifting season, and with every holiday season there’s always that one person that is just a difficult person to shop for. Maybe they’re the type of person who has everything or the type of person who always says “I don’t want anything” or “It’s the thought that counts” when you ask them what they want. A solution? 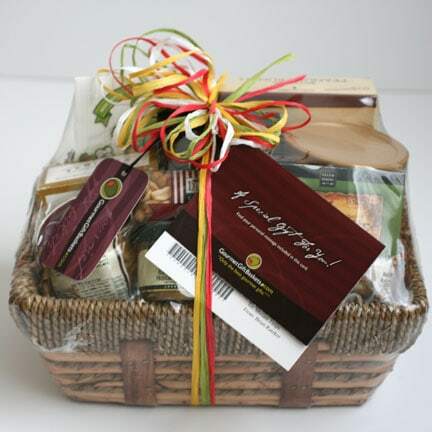 A gift basket from Gourmet Gift Baskets. Our beautiful gourmet gift baskets are artfully arranged with exquisite full-sized treats and gifts! Delight that special someone with the finest chocolate, award-winning wines, and palate-rewarding cheeses and fruits. Whenever you order something that is meant to be a gift, you want to make sure that the gift arrives intact and looking all gift-like. My Gourmet Gift Basket arrived carefully packed in a cardbox and was in pristine condition. The entire gift basket is shrink wrapped in plastic to keep all of the contents safe and then decoratively wrapped with a colorful ribbon. You can include a gift card with your basket so the recipient knows the awesome basket is from you. The basket pictured here is the Classic Snack Gift Basket and is Gourmet Gift Baskets’s best-selling gift basket. It includes such delicious treats as Key Lime White Chocolate cookies from Brent & Sam’s and Buttered Peanut Crunch from Old Dominion Peanut Company. I love how the Snack Gift Basket has a great blend of both sweet and salty treats, so I can either enjoy the entire basket by myself, or if I’m feeling generous, share with my friends and family as well. Another thing that’s great about these gift baskets is that each of the food items are quality, gourmet, or even award-winning foods that are all delicious. Let’s not forget the “basket” part of Gourmet Gift Baskets. This Snack Gift Basket actually does come in a basket (as pictured above) which can easily be used around the house once it has been emptied of its delectable treats. BONUS! If you’re looking for a good gift for a friend, family, or co-worker, check out the assortment of gift baskets available from Gourmet Gift Baskets. Baskets range from as little as $24.99 for their super cute “Mini” gift baskets to over $200 (if you really want to impress someone.) You can find sweet baskets filled with chocolate or other candies, baskets for wine lovers, care packages for those always hungry college kids, and many other options. You’ll easily find a gift basket for anyone in your family. 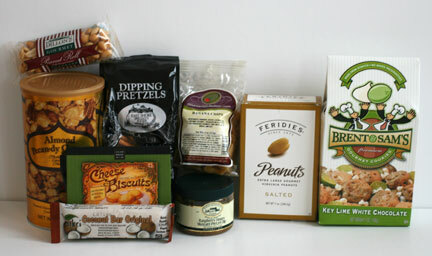 One winner will receive a Classic Snack Gift Basket from Gourmet Gift Baskets. This giveaway has ended and is now closed. You can view the winner of this giveaway on our Giveaway Winner page. I love the Extreme Tailgating™ – Super Bowl Gift Basket! The Extreme Tailgating looks great! I like the Metropolitan Breakfast. These are all just lovely! For giving, I think the Baby themed baskets are just perfect! For receiving, I would love to be gifted a bottle of Dom!! Love to try the Candlelight Bubble Bath™ Spa Gift Basket. I like the Chocolate Gift Basket Deluxe – Sweet Decadence. Kosher Gift Basket Stack looks so yummy! I loveeeeeeee Brent & Sam’s Key Lime White Chocolate Chip cookies. I have a key lime tart recipe that I use these cookies for the crust. YUMMY!! O yah I would love the cheese cake basket! The beanpod candle gift crate would be nice. The buttered Pe3anut chrunch sound delicious right now…. The Chocolate Dreams Gift Basket sound delicious right now…. I like the Ravenswood Red Wine gift basket! I would choose “Weekend In Paris™ – Gift Basket” as my favorite. This may be silly but when I search for gift basket, I begin with the basket! I am by nature a basket-a-holic! Then I decide on the content! I like this basket for it’s possible re-usability. I shop at Farmer’s Market for my weekly fresh produce and this basket would be perfect. Now, on the content, it made my mouth water! If I was to receive this gift basket as a gift I’d be one happy recipient! Everything looks delectable and scrumptious! I would go on a picnic with hubby and we would enjoy This together! The Chocolate Gift Basket Premium – Sweet Decadence is my favorite. Thanks. I’d love to give the Microbrew Beer Bucket Gift Basket™ to my boyfriend. He’d love it! I’m dearly loving the “Country Inn – Breakfast Gift Basket!” It contains all the wonderful foods that makes a scrumptious breakfast just like the tasty ones served at an Inn. I like the Fruit & Chocolate Dipping Delight basket. The Christmas Gift Basket Deluxe is my favorite. I really like their Tour of Italy Gift Basket. I liked the Junk Food Bucket. I would love to try the Dessert With Barefoot Contessa Giftbasket. I have only had a couple of her mixes and love them. This basket sounds great. I like them all but I think the Cat’s Meow caught my eye! I want the Jumbo Chocolate Gift Basket! 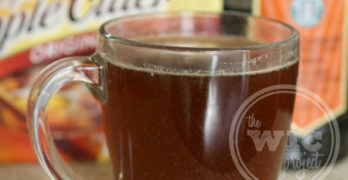 I would really love to try the Metropolitan Breakfast Gift basket with the Caramel Flavored Swizzle Sticks by Dryden and Palmer! The Chocolate Dreams is my choice. I would send the College Care package to my daughter at Seattle University! My favorite is the Holiday Sweets & Treats Snowflake Tin-Christmas Gift Basket. I like the micro brewery basket. It would make a nice gift. My favorite is the Coffee and Chocolates Gift Basket Premium. My favorite product from that basket would be the Chocolate Espresso Bean! the ultimate chocolate gift basket! The sports fan care package. I really like the New England Breakfast Gift Basket Classic™! I like the Light Beer Bucket gift set. i love the jingle all the way gift basket! I love the christmas chocolates gift basket deluxe. I like the Exam Cram Care Package. love bret & sams keylime cookie…YUMMY!!! I like the Junk Food Bucket. My favorite is the Holiday Sweets & Treats Snowflake Tin-Christmas Gift Basket! I would love to win this! Thanks so much for the fantastic giveaway! I love the Bountiful Harvest gift basket. Thanks for the giveaway. I like the Micro Brew Beer Bucket! I’d love to try any of the Barefoot Contessa baskets! The Sweet Decadence Chocolate Basket – yum! I have a brother-in-law that would love to get the microbrewery basket of craft beers.. well, so would I! I like the cats meow Halloween basket! I would totally send myself the Red Wine & Dark Chocolate Gift Basket! I love tea, so I would get the Tea & Cookies Gift Basket Premium. I like the Ultimate Coffee and Chocolates Gift Basket. The Christmas Chocolates Basket is cool! The Ultimate Snack Basket. Yum!! My favorite is the Ultimate Coffee and Chocolates Gift Basket™. I like the Cats Meow Halloween basket. My favorite is the giveaway one though. I would love the Barefoot Contessa Basket. Oh how I’d love the The Ultimate Barefoot Contessa Gift Basket. Drool. I like the Jingle All The Way Holiday Basket. 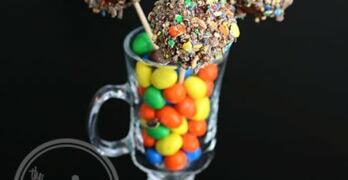 The Chocolate Dreams basket looks awesome. Thanks for the opportunity! I’d choose the New England Breakfast Gift Basket Classic. My favorite is the Sports Fan care package. My son would absolutely LOVE to get something like this! I like the Classic organic basket! The Country Inn Breakfast Basket looks good! The classic gift basket looks really nice. Oh! Great baskets. I would love the Microbrew gift basket. My favorite is their Health Nut Care Package. I also like the ‘Mini’ Chocolate Gift Basket! The mini chocolate gift basket looks nice. The Classic Candy Gift Crate looks Awesome!! Um a big beer taster – Love Microbrew Beer Bucket Gift Basket! I like the Ultimate New England Brunch Gift Basket. The ‘Mini’ Chocolate Gift Basket! I love the cocktails basket! I like the Ravenswood Red Wine basket. I like the Ravenswood Red Wine Gift Basket. I like them on facebook under Jannie Finn Bryant. I follow them on twitter under cjbstar. I like the Junk Food Basket. Orchard’s Abundance™ – Fruit Gift Basket. I like the Christmas gift basket deluxe. I love the Tea & Cookies Gift Basket Classic! I like the Orchard’s Abundance – Fruit Gift Basket!! I like the Signature Series Fruit and Gourmet Gift Basket. My favorite is the Coffee Break ‘Mini’ Gift Basket. My fave would be the NFL Gift Basket. I like the Bloody Mary Breakfast gift basket 🙂 Thanks for the giveaway! I love Around The World Beer Bucket- my husband would love this as a gift! I would like the around the world beer bucket. Love Kraft Beers. Thanks for your time. I really like the New England Breakfast basket!! Yum! I really like the New England Breakfast basket!! The Jumbo Chocolate Gift Basket – what else? The gourmet cheesecake sampler looks great. I love their Pretty in Pink Gardening Basket. I love the Around The World Beer Gift Basket. My favorite product is their Ultimate Coffee and Chocolates Gift Basket. I also like The Ultimate Barefoot Contessa Gift Basket™. i love the nutcracker drum christmas basket! I love the Around the World Beer Bucket. I love the Christmas Morning Breakfast Gift Basket. I think this basket would make the perfect gift for someone I know-Around The World Beer Bucket™ – 12 Beers. Around the world beer bucket for me!!! I like the Orchard’s Abundance™ – Fruit Gift Basket. I like the Chocolate Dreams™ Gift Basket. My favorite is the Chocolate Gift Basket Jumbo – Sweet Decadence…yum…. My favorite is the Ultimate Christmas Gift Basket. My favorite would have to be the Chocolate Gift Basket Jumbo – Sweet Decadence. I love the Day In Paris™ – Gift Basket. I would love the beer around the world basket, but since it is illegal to ship this in my state, I would have to go with the Jingle All The Way Holiday Gift Basket! I’d like the Ultimate Chocolate Gift Basket! I like the Around the World Beer Bucket. I like the Jingle All The Way Holiday Gift Basket! The Around the World Beer Bucket would be perfect for my husband! I really like the The Grill Master™ – BBQ Gift, I think my husband would also love it. Of course everyone has that hard to figure out gift. This is perfect, something for everyone! The Chocolate Dreams Gift Basket has the goods to swoon over. I would love the ultimate chocolate gift basket! i like the nutcracker drum basket. Looks like a nice Christmas idea. Orchard’s Abundance – Fruit Gift Basket. I like the Brownie Sampler set. I love the Orchard’s Abundance™ – Fruit Gift Basket. I like the Jingle All The Way Holiday Gift Basket. My favorite is the Ultimate Chocolate Gift Basket. Finally I have a plan for a Christmas gift for my Dad- the Microbrew Beer Bucket Gift Basket! Manly yet classy. I like the Bloody Mary gift basket. The around the world beer bucket looks awesome, I would love that one! The Ultimate Coffee and Chocolates is definitely my favorite….being the ultimate fan of coffee and chocolate! 🙂 Thank you. The ultimate chocolate gift basket. around the world beer bucket! I love the Bella Italiana – Italian Gift Basket! I know so many people that I could give the Tea & Cookies Gift Basket Premium basket to. My favorite would be the Chocolate Gift Basket Premium – Sweet Decadence! The Chocolate Gift Basket Classic-Sweet Decadence is my favorite product. My fav is the Orchard’s Abundance Fruit Gift Basket!